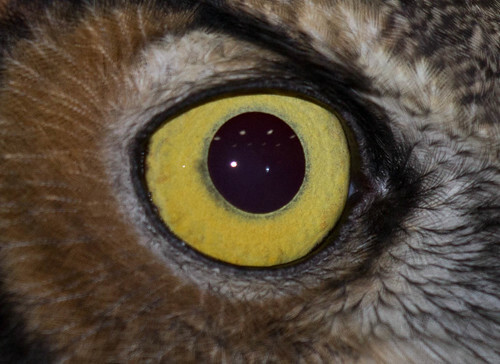 The largest “eared” owl in North America makes a soft, muffled-sounding Hoo-hoo-hoo. Hoo. Hoo. It often nests in abandoned Red-tailed Hawk nests and oversized cavities in trees.